THE UNITED STATES POSTAL SERVICE (USPS) has plugged an API flaw that exposed the personal data of 60 million customers. 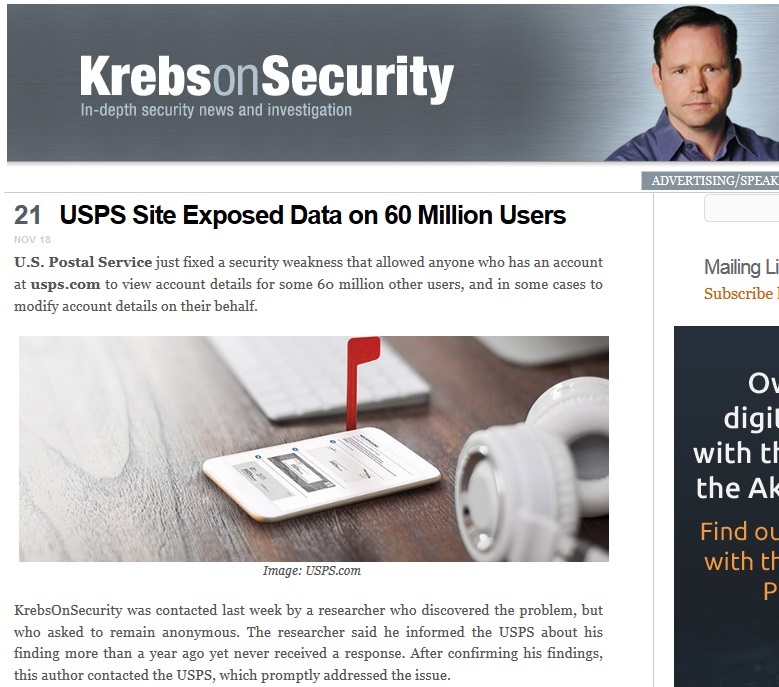 As per Krebs on Security, which received a tip-off from an anonymous researcher, the glitch stemmed from an authentication weakness an API tied to USPS' 'Informed Visibility' programme, which is designed to help companies "make better business decisions by providing them with access to near real-time tracking data" about mail campaigns and packages. The tool, however, also lets anyone logged in to USPS.com to search the system for account details belonging to any other users, including email address, account number, street address and phone number. And thanks to the programme's "wildcard" search parameters, anyone logged in with a basic understanding of modifying parameters in the browser-based console could pull up reams of data on other users. "Everything from usernames and account numbers to physical addresses and phone numbers was there for the taking," Krebs notes. Happy 8th Birthday to Krebs On Security !